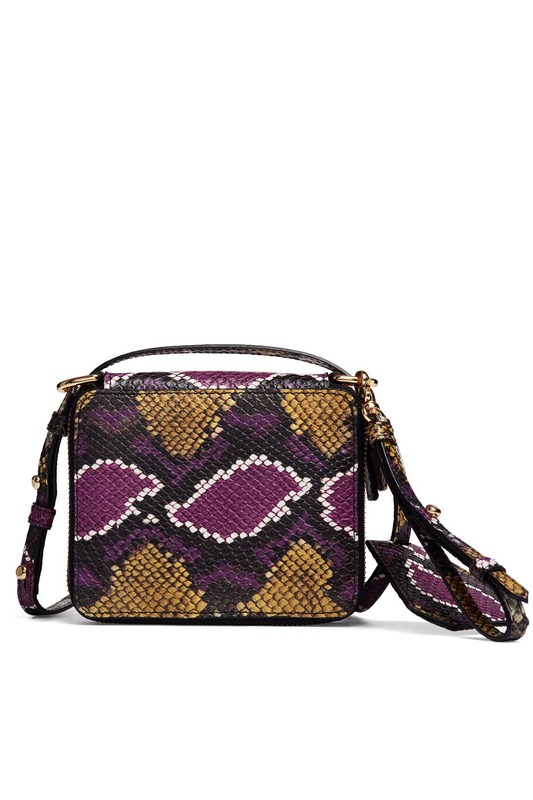 Purple and yellow leather printed with a stylish snakeskin effect adds excitement to this understated (and adjustable) crossbody bag by Marques' Almeida Handbags. Multicolored snake embossed crossbody bag. 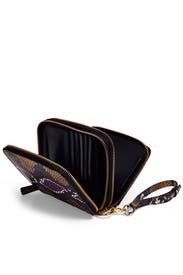 Double zipper closures with internal wallet detailing. Adjustable crossbody strap. 8"W x 6"H x 2.5"D.